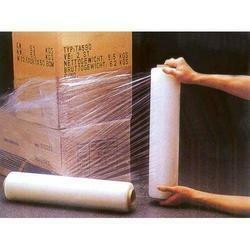 Providing you the best range of shrink film for packaging industry with effective & timely delivery. Our group of steady parts meets expectations in close-coordination with customers to give them an arranged scope of Shrink Film for Packaging Industry. The offered shrink films for packaging industry are specially designed for the packaging of material such as red meat, cheese, processed meat, paneer and pulses. The offered product is made available to client at market leading prices.